You may choose to add this action to some other initiative you are planning or do the stencil action on its own.The important part is: please let us know and send us pictures, videos, and reportbacks so that we can share them! 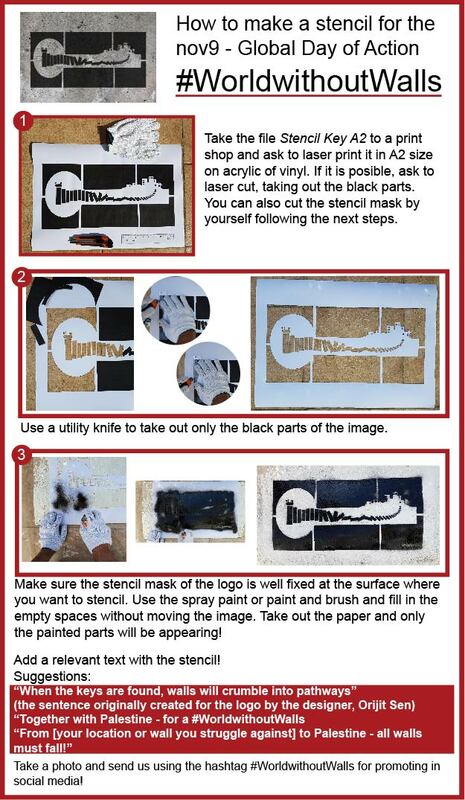 Few steps to join the #WorldwithoutWalls stencil actions! Think if you can link it to other local work you’re doing or use the action to raise awareness about the devastating impact of walls. We are encouraging you to use the logo of a #WorldwithoutWalls so that we can show our unity. At the same time, choosing a locally relevant text to add to it will show our diversity and will present your struggle to the world. Be creative! 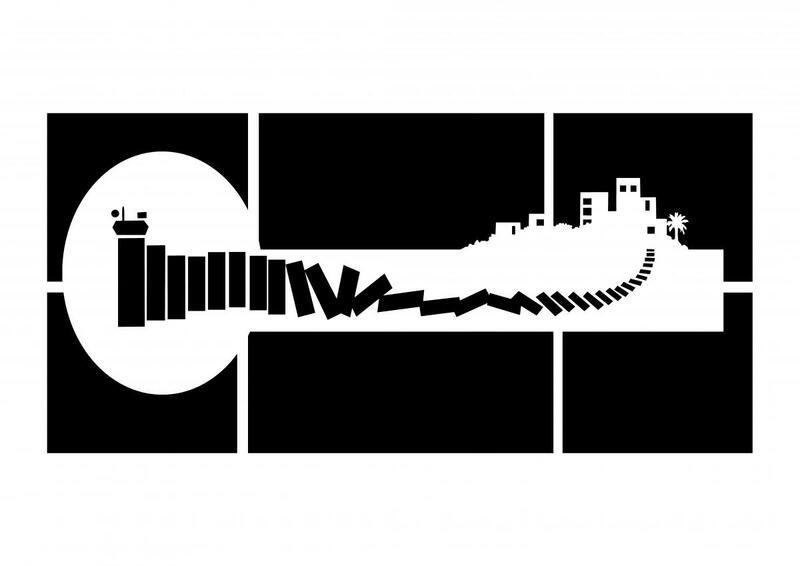 “When the keys are found, walls will crumble into pathways” -- the sentence originally created for the logo by the designer, Orijit Sen. The stencil mask is prepared to be printed out in A2 (42 cm (width) x 59.4 cm (height) or 16.5inches x 23.4inches). If you want to change the dimensions, ask your print shop to alter the file accordingly. Bring the file to your print shop and, best, ask them to laser print it on acrylic paper or vinyl. You can ask your printshop to directly laser cut it. If you want to cut it by yourself or your printshop doesn't cut it for you, get a craft knife and cut out the black parts of the stencil mask. It will take some patience and maybe a second try. Make sure the stencil mask of the logo is well fixed at the surface where you want to stencil. Grab the spray paint or paint and brush and fill in the empty spaces! As suggested in the image above - if you have red, green and black paint you can create a Palestinian flag as a background. Do not forget to send us a video or an image of the stencils or the stenciling action! We want to show that we are building a #WorldwithoutWalls together by showcasing stencils from around the world! Únete a la acción stencil para un #MundosinMuros!